THE MARTINI CHRONICLES: Pay It Forward! Greetings Divas and Gents! I wanted to share something with you all that really touched me. Let me set the scene...I'm sitting at home on the couch watching DVR'd episodes of the Arsenio Hall Show. 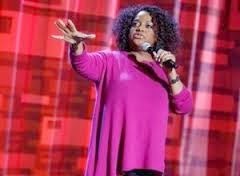 I was watching the episode featuring Sherri Shepherd, one of the hosts from The View. She told Arsenio a story that really made me smile. In speaking about her The View co-host Whoopi Goldberg, Sherri told us a story about when she first started The View and did not have appropriate clothing to wear. 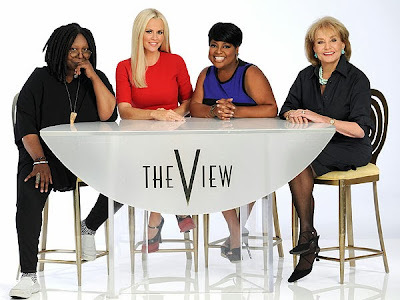 Sherri had not yet gotten her first check from The View when Whoopi told her she needed to get some better clothing. Sherri and Whoopi went shopping, and Sherri was a ball of nerves because she knew she could not afford the clothing she was trying on in the store. Even when she headed to the cash register to purchase the clothing, she had no idea how she was going to actually pay for the clothing. As she was calculating in her head the available credit on her credit card, the cashier informed Sherri that Ms. Goldberg had already paid for the clothing. Sherri was so touched by the gesture that she cried. And then Whoopi said, "You pay it forward. When somebody does something for you, you do it back for somebody else." Listening to Sherri tell this story reminded me of someone who had done something similar for me. After my first year of law school, I had the opportunity to intern with a judge for the summer. It was an unpaid internship, so I did not have a lot of extra money at my disposal. During that summer, the judge's administrative assistant was always buying me lunch. As hard as I tried, she would never let me pay her back. On my last day as an intern, she offered to take me out for a farewell lunch. At lunch I told her how much I appreciated her help and support during the summer, and that I especially appreciated her treating me to lunch so often. She told me that she did it because she knew that I was a student, was broke, and I wasn't being paid. She said she was happy to buy me lunch. She also said that I should pay it forward. That I should do the same for someone else when I am in a position to do so. I was so deeply moved by her generosity, and I have made it a point in my professional life to pay it forward. So, my question to my fellow Professional Divas and Gents is this: Have you paid it forward? Have you taken someone under your wing who is working hard to reach his or her goals? And I'm not just talking about a meal. I'm also talking about your wisdom, your experiences, and your advice. This blog is full of advice and wisdom that I have received over the years from seasoned professionals; I am eternally grateful to have had the opportunity to receive these jewels. In fact, sharing these jewels was the primary reason I started the Chronicles. So like Whoopi, I am always looking for opportunities to pay it forward, whether it be through my mentoring efforts or through this blog. I hope that my fellow professionals are actively doing the same. Now go pay it forward! I've heard Sherri tell this story before and was touched by it as well. There are many ways we can help other women. We just need to do it. I agree 100%! We need to act! I love this clip! Almost made me cry!! I've tried to pay it forward in my nursing career with young nurses coming up. because sometimes a little help goes a long way. this is a BIG problem! I have an ex co-worker( read EX) who posted about being in California working another job when she was supposed to be on disability! Chile. I'm so glad that you do! And yes, a little help goes a long way! No she didn't! That's actually a crime! Agreed! But I always tell folks to be careful even when their accounts are private. Someone who is privy to your accounts' content can always snitch on you!